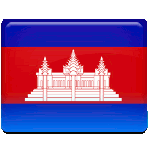 People of Cambodia annually observe Commemoration Day of King Father on October 15. This public holiday was created after the death of Norodom Sihanouk, the father of the incumbent King of Cambodia. Norodom Sihanouk was born on October 31, 1922. He became King of Cambodia on April 25, 1941 and reigned till March 3, 1955. He abdicated the throne in favor of his father and took the post of Prime Minister. He was exiled in 1978 and returned to Cambodia only after 13 years. He was restored as King of Cambodia and ruled again from September 24, 1993 to October 7, 2004. Due to health problems he abdicated the throne in favor of his son Norodom Sihamoni. Norodom Sihanouk died in Beijing on October 15, 2012 at the age of 89, 16 days before his 90th birthday anniversary. He was receiving the treatment for colon cancer, hypertension, diabetes, but he died of a heart attack. Since 2012 people of Cambodia commemorate the late King Father on October 15. In 2013 a statue of Sinahouk was inaugurated in Phnom Penh, the capital of Cambodia.